Dynamic, versatile, and feature-filled, the 2017 Chrysler Pacifica trims give Shawnee and Tulsa families the capabilities they need, without sacrificing the performance they want. 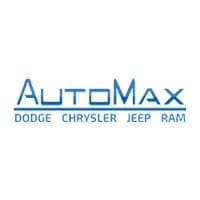 Learn what this striking minivan has to offer, then stop by AutoMax Chrysler, Dodge, Jeep, Ram to see your favorite in action. V6 Power – The LX is powered by a 3.6L V6 engine and 9-speed automatic transmission with front-wheel drive (FWD). This combination is capable of 287 hp and 262 lb.-ft. of torque and delivered 18 mpg/city and 28 mpg/highway fuel economy in EPA testing. 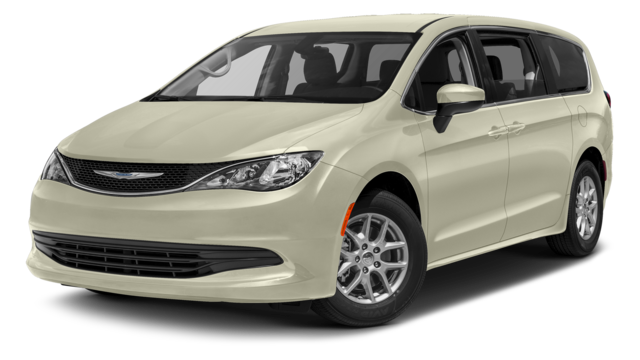 Passenger Comfort – With seating for up to seven adults, and standard features like power-adjustable front seats, rearview mirror with microphone which allows communication without screaming, and more, the Pacifica virtually guarantees a fun ride. 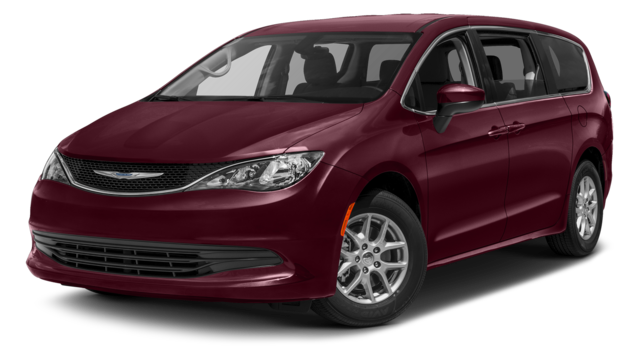 Capacity – The Pacifica provides as much as 140.5 cubic feet of available cargo space for all the family’s gear. Stow ‘n Go – The second and third-row seats fold flat into the floor to provide a flat surface for hauling cargo, and when the wells aren’t in use, they are the ideal space for gear that needs to stay out of sight. Backup Camera – A standard Parkview rear backup camera system gives drivers a clear view of the area behind the van, making it possible to avoid unseen obstacles. Infotainment – The Uconnect multimedia system with 5-inch dash-mounted color touchscreen delivers access to audio, hands-free calling, voice texting, and more. Remote Access – The remote proximity keyless entry ensures that, even if your hands are full, you can easily get into the Pacifica and get moving. 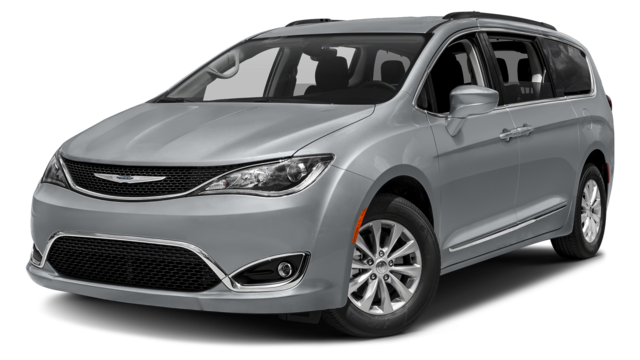 Interior LED Lights – To help passengers find their way out at night, the Pacifica Touring is equipped with LED interior door handle lamps and rear reading lamps. Satellite Radio – A one-year subscription to SiriusXM satellite radio is included with every Touring trim, allowing drivers to take their favorite programs on the road. Leather – Leather trimmed heated front bucket seats and a leather-wrapped steering wheel give the driver and front passenger and up-scale place to spend the commute. Automatic Climate Control – Tri-Zone automatic climate control with rear air conditioning and standard rear shades ensure that everyone has a comfy place to relax. Remote Start – Warm the car from the comfort of home with the standard remote vehicle start. Stow ‘n Assist – With the push of a button, the front passenger seat moves forward, making it even easier to fold the second-row seats away. Power Passenger Seat – An 8-way power passenger seat with lumbar support provides a customizable, luxurious place to spend the commute. Power Outlet – The standard 115-volt power outlet allows passengers to run standard equipment without expensive 12V adapters. 7-Inch Driver Display – The full-color driver information display allows information to be customized and viewed at a glance. Heated Seats – Heated second-row seats cradle passengers in luxurious comfort even on the coldest mornings. Performance Audio – The 13-speaker Alpine Audio system with 506-watt amplifier provides acoustic balance and superior sound. Infotainment – Uconnect 8.4 is equipped with a larger 8.4-inch color touchscreen interface while rear seat passengers gain access to a rear-seat Blu-Ray entertainment system with remote, seatback video screens, and wireless headphones. Memory Seating – Standard driver seat memory allows two users to program their preferences with the touch of a button. Power-Folding – The power-folding third row with headrest dumping allows drivers easy access to the rear cargo area. Ventilated Front Seats – To keep drivers cooler during the summer, the Pacifica’s front seats are ventilated, allowing air to flow freely. Power Shade – A one-touch power shade for the premium Vista View sunroof allow drivers to control the amount of light entering the cabin. Integrated Vacuum – The exclusive Stow ‘n Vac system allows drivers to quickly tidy up without lugging ungainly machines in and out of the minivan. 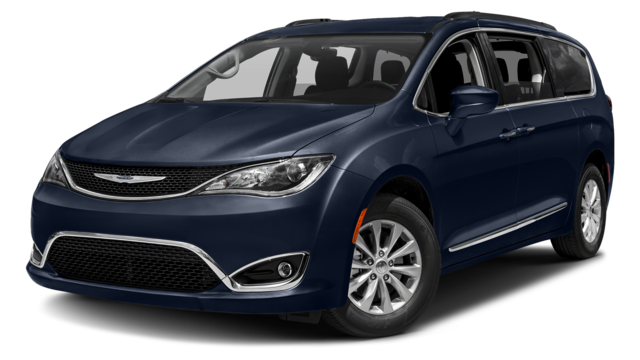 To learn more about the 2017 Chrysler Pacifica trims and schedule a Shawnee or Tulsa test-drive, contact AutoMax Dodge, Chrysler, Jeep, Ram at (888) 974-0688 or visit us at 4141 N. Harrison Ave in Shawnee, OK today.